Temperatures have been soaring for weeks, the kids are out of school, and the bikinis are coming out. While most Arizonians are relatively sun-savvy and wear sunscreen regularly, you might not know that not all sunscreen brands or types are equally effective, even if they show the same SPF level. Some sunscreens even contain harmful additives and chemicals. We’ve compiled a helpful list of what to watch for when purchasing and using sunscreen this summer. Before we move on to the other factors, let’s take a look at what SPF actually is. SPF stands for Sun Protection Factor and typically ranges anywhere from 4-100. What an SPF number actually means is how many more minutes a person can stay out in the sun without getting burnt than if they had no sunscreen on at all. 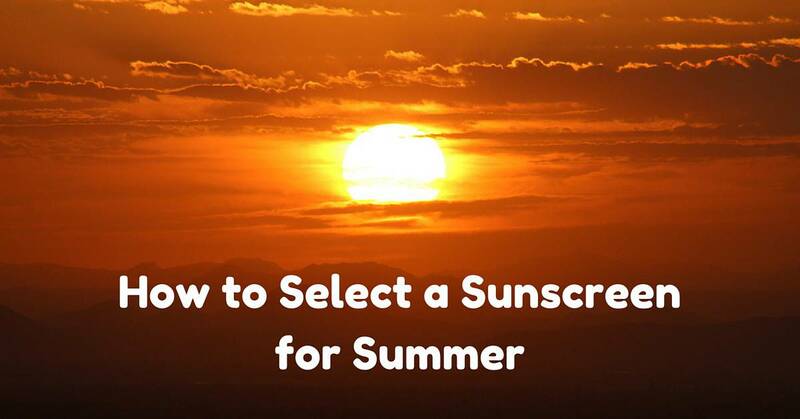 It is recommended that most people use a sunscreen with an SPF of 30 or higher. Dr. Colette Pameijer, a surgical oncologist warns that, “SPF is really a personal number,” she said. “The amount of protection that I get from an SPF 30 is different than what someone else with a different skin type would get.” (CBSnews.com). It is important to know how different SPFs affect your skin. It is also important to note that it may not be worth the money to invest in SPFs higher than 50, because after this amount of time, most sunscreens will have been absorbed into your skin, sweat off or rinsed off in the pool or ocean. All sunscreens should be reapplied every 1-2 hours for maximum protection. While it’s human nature to be tempted by the quick-and-easy-factor (especially if you have children) of spray-on sunscreens, these particular types can be dangerous. Firstly, it is almost impossible to know if the sunscreen has actually made it onto your skin or has been blown away by the wind. It is also difficult to ensure you have covered all exposed skin. Another danger of spray-on sunscreen is the evaporation factor. Even if reapplied regularly, spray-on sunscreen is evaporated by the sun much more quickly than regular old lotion. This is worrisome if you rely on the SPF level to indicate when it’s time to reapply, as the lotion may be completely evaporated before the indicated minutes, especially in our Arizona sun. Many sunscreens (even those marked for sensitive skin or safe for children) contain harmful chemicals. Among the most common are ozybenzone, which is known as a skin irritant and allergen, however, is still an active ingredient found in 70% of non-mineral sunscreens tested by EWG in 2016. Another surprisingly harmful ingredient in sunscreens is Vitamin A (usually written on labels as retinyl palmitate). This type of vitamin A has been proven to increase skin lesions and tumors in animal studies. Luckily, the use of Vitamin A as a sunscreen additive has dropped by about half since last year, with only 16% of tested sunscreens using the product in 2016. Shop for sunscreens that do not include these harmful ingredients this summer. Many experts agree that people rely too heavily on sunscreen as their only method of skin protection. It is also extremely important to wear protective clothing such as hats and sunglasses and spend time in the shade whenever possible. To read the complete study and see the 2016 Best and Worst Sunscreen List created by EWG, visit their website by clicking here. For further protection from the sun, consider investing in patio sunscreens and sunshades for your home! To learn more about sunscreens, contact us at CC Sunscreens!